You have to see this amazing coupon! 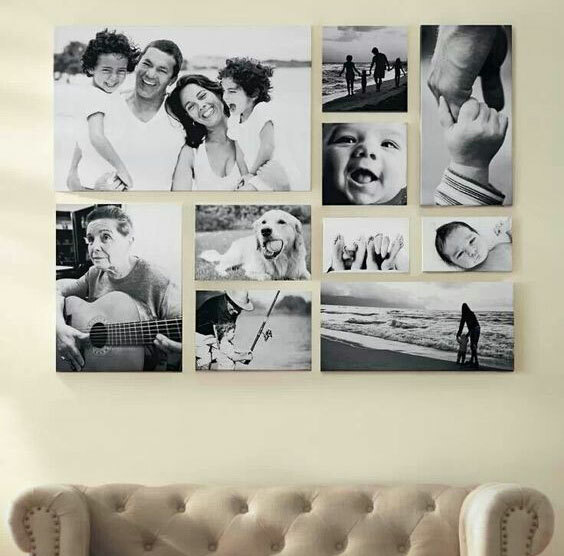 Easy Canvas Prints has taken the web by storm, offering gorgeous, high-quality canvas prints at cheap prices. However, don’t ever pay retail for their canvas prints and optional framing. Most of the time the best discount will come from a promotional link or banner, and there’s no need to enter a code. However, it can be a little confusing, as sometimes it’s not clear that a coupon has been applied. Also, if you have been issued a promo code, let’s talk about how to use it. Tip: Before completing your purchase, make sure that the promo code yields a better discount than this month’s featured offer. Is There a Free Shipping Code? 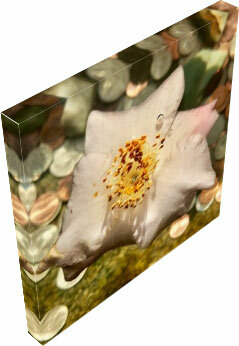 There are no free shipping codes for Easy Canvas Prints. The only time free delivery is possible is if a code were issued to an individual directly from customer service. In that case, the free shipping code would be a result of an issue with a previous order. 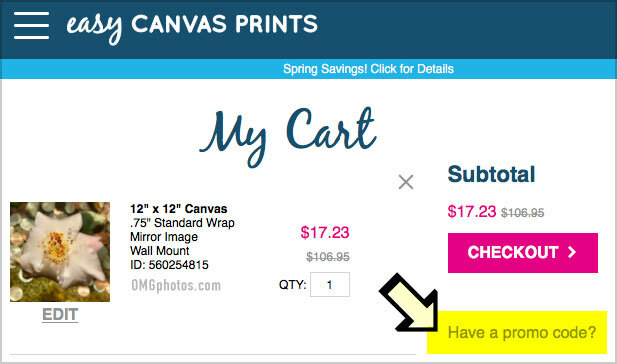 *Related: New customers get free shipping on $50+ at Vistaprint! (See coupons) or, check out our WSJ subscription deals here! We Think You’ll Be Very Happy With Your Canvas! 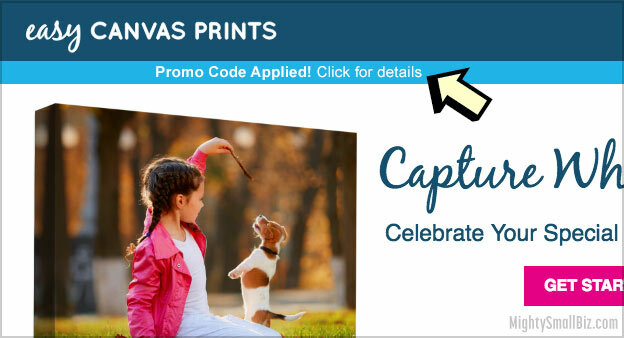 Not only do we promote EasyCanvas Prints coupons, but we’re also a customer! You can read our review here, and check out our beautiful framed canvas yourself. 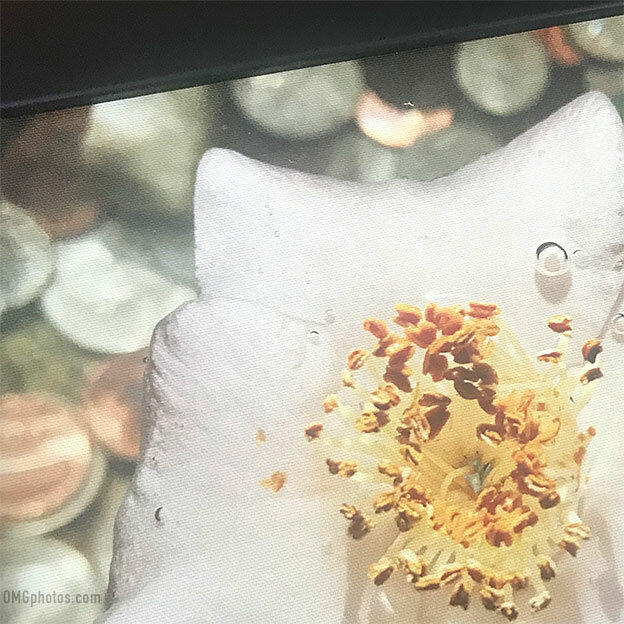 This entry was posted in easy canvas prints and tagged canvas, coupons, easy canvas prints, printing on October 17, 2018 by kevin. 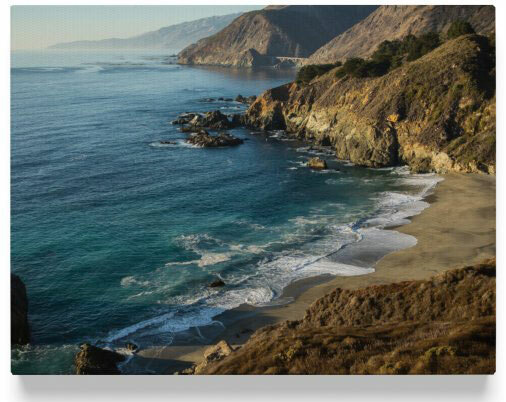 Easy Canvas Prints Reviews | Cost, Shipping Info + See My Canvas! 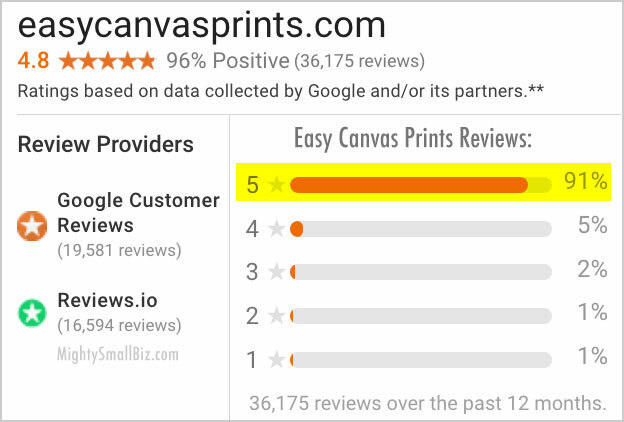 Reviews of Easy Canvas Prints: EasyCanvasPrints.com is one of the top names in the crowded, and hugely-competitive canvas-printing space. 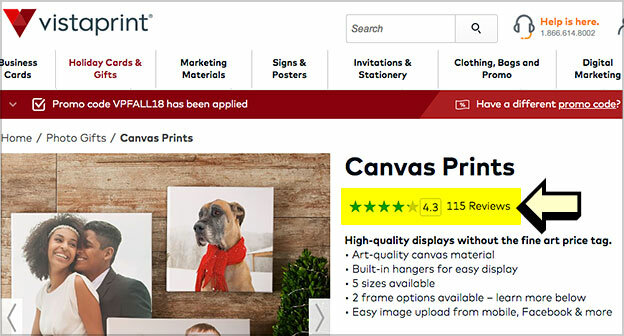 In case you didn’t notice, there are dozens of companies trying to print your photos better and cheaper on canvas, and the stiff competition is forcing these printing sites to excel or die. So, how do they stack up? 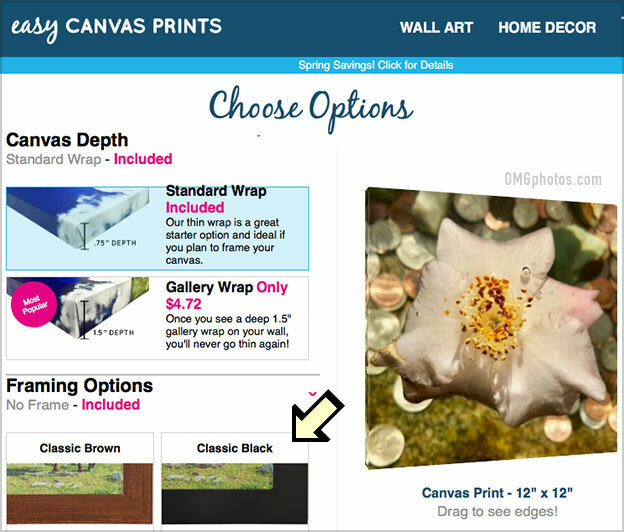 First, here’s what customer reviews and ratings say, and then read my own Easy Canvas Prints review. That’s why 95% of customers leave a good review, and probably why they have a quarter-million Facebook followers. OK, we’re off to a pretty good start, but I want to try out Easy Canvas Prints myself. Here goes! 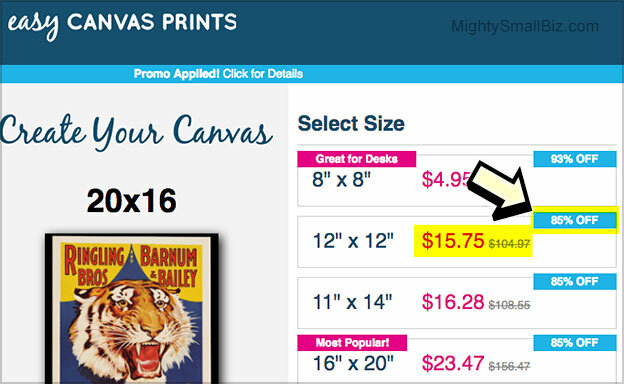 Here are the prices for Easy Canvas Prints by size. 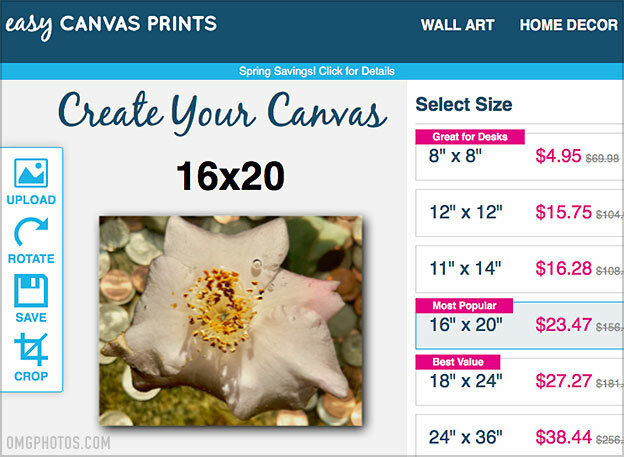 Note that you have the option to frame your canvas, which costs extra. Hanging Kit: You can choose a wall mount (+ $1.49) or a wall hanging system (+ $4.99) at checkout to hang your canvas. Custom Sizes: Don’t see a size you’d like? They can print canvas at custom sizes. Just enter the size you want, and get an instant price quote! The most common complaints in Easy Canvas Prints reviews have to do with the cost of shipping, which many people feel costs too much. Free shipping? Sorry, there are no Easy Canvas Prints free shipping codes available! *Note: If you don’t use a coupon, shipping cost less. In my case, shipping was listed as $10.99 before the coupon was applied which raised the cost to $15.49. The $89 savings from the coupon more than made up for the extra $5 shipping cost, though! To calculate total shipping time, add a 1-2 day turnaround time to these delivery times. Ok, sounds good. Now I’m going to design a canvas and place my own order. Let’s see how it goes! Make sure your photo is as high-resolution to avoid pixelation or low-quality after it’s enlarged. This means you’ll need your the original or biggest size possible. If you notice that the file size is under 2 MB, it might not be big enough for the larger canvas sizes. OK, now it’s time to print my photo on canvas. #3. Designing a Canvas Is Really Easy! 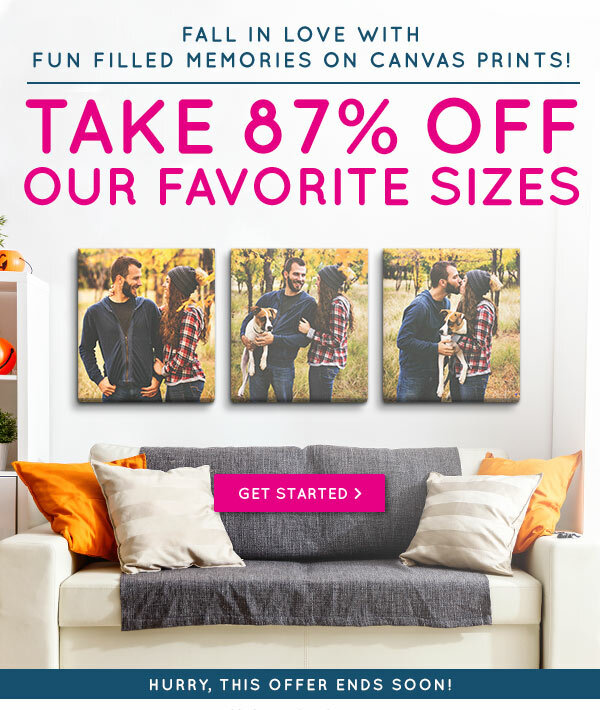 If asked to imagine a descriptive 3-word name for a company that provides the simple, high-quality printing of photos onto canvas it would probably be pretty close to “Easy Canvas Prints.” I mean, it’s all there in the name, but do they actually deliver? 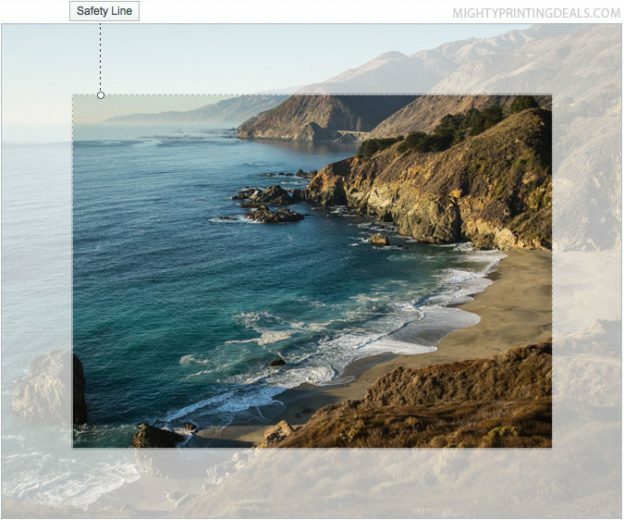 Basically you choose a canvas size, upload your photo, get a preview. There are minimal, obvious design tools like “rotate” and “crop,” but that’s it. No filters or templates or text, just your photo. Ok, that’s it, on to the next step. ➤ Framing Options: By default no frame is included, but you can choose from a few “classic” (thick and plain) or modern (stepped for a floating effect), or Brazilian Barn wood which looks like reclaimed wood. I really like the classic black frame, so I’ll choose that to make this photo pop. 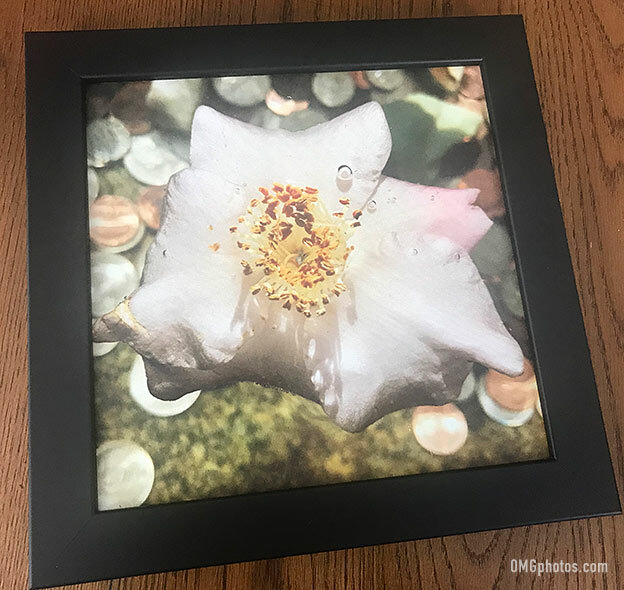 ➤ Display Options: By default there’s no cover on the back of the framed canvas, but for $5+ more you can get a more professional, clean, cover that should make your canvas last longer. This is great for some photos, but not others. Pay close attention to the preview, which you can click on and move around to see what your canvas edges will look like. If you don’t like this “reflection” on the sides, you can choose a black, grey, or white border. ➤ Hanging Options: Choose a standard wall mount (which I did) for $1.49, or a fancier wall-hanging system that can hold more weight for $4.99. After you’ve applied a coupon, just fill out your shipping info, choose to pay via credit card or PayPal, and you’re done! 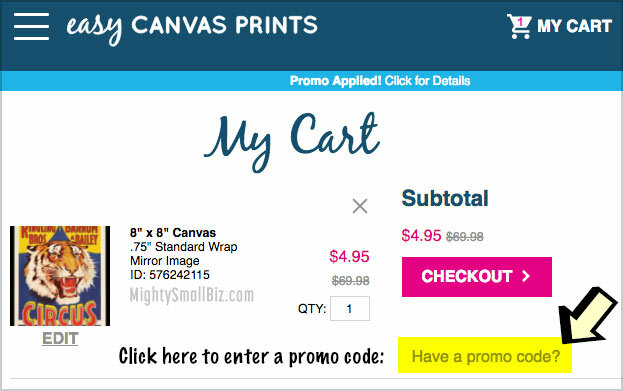 *New: We also have Vistaprint coupons for up to 50% off + free shipping here! The big day just arrived. FedEx rang my doorbell and I got a big, sturdy box with my canvas inside! OMG! My framed 12×12″ canvas print is gorgeous, and check out that detail from an iPhone 7 picture! The color is vibrant, and I love the thick “Classic” black frame. I’m glad I paid $6 extra for the cover on the back, as it really looks professional. 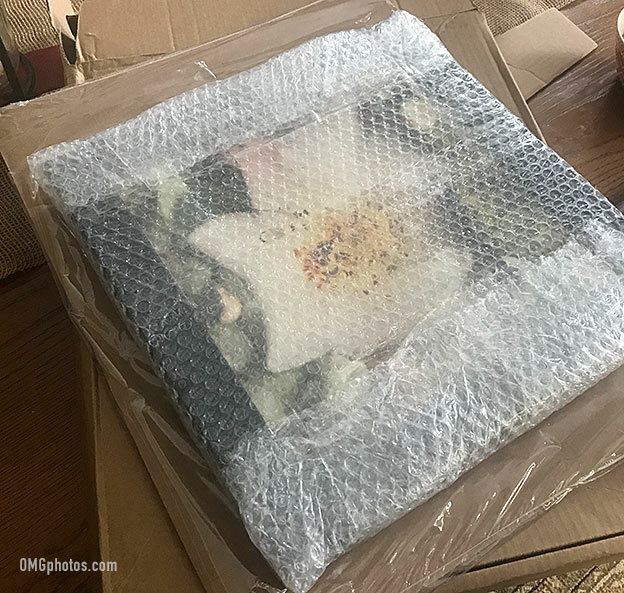 The total price for my framed 12×12″ canvas print was $56 including shipping which is less than Shutterfly’s similar product (thinner frame) which comes in a total cost of about $70 (after using a 50% off coupon). What can I say, I’m really happy with my framed canvas print! 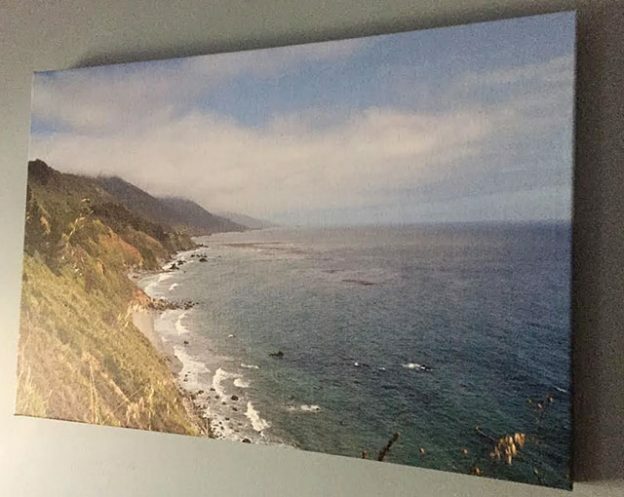 Looks like I’ll be one of the 95% percent of customers who write a good online review for Easy Canvas Prints. Not impressed? Check out more coupons here! 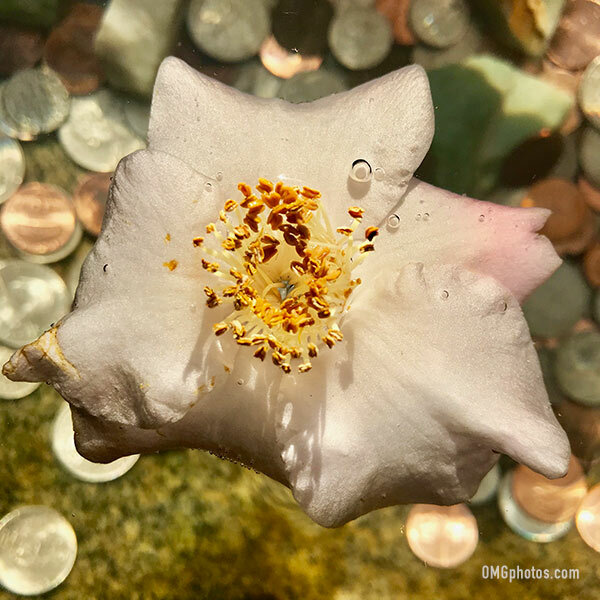 This entry was posted in easy canvas prints and tagged canvas, easy canvas prints, reviews on October 16, 2018 by kevin.